Lesson number one, Advertiming was not well thought out. Most young people that would be on twitter probably are being entertained in other ways. Regardless of the external environment we read each others posts and made comments accordingly. Lesson number two, you can learn a great deal from others when participating in a twitter chat. If you have good participation it might even be exciting. Lesson number three: We understand that this type of communication can be positive if you participate. @MingjieM There is a Walmart that is very closed to Winco in Springfield. Winco is cheaper, but I go to Walmart because variety. @han_wenqi @stephcliff yup Walmart’s vegetable is not fresh. they need to improve. @emmaliiu @YouTube coupon is a great thing! saving time and saving money. Over the past weeks we have delved deep into the world of integrated marketing communication. The point of an IMC is to combine strategy, online marketing and offline marketing to reach your target audience in an effective manner with a consistent tone and message. This relatively new type of marketing (references about integration go all the way back to the 1990’s) is becoming the standard by which all new marketing plans are being measured. However according to Steve Olenski a contributor to Forbes Magazine and marketing guru, CMOs are still not doing it correctly. So what are these CMO’s missing? According to David Aldridge a writer in Direct Marketing News, “Integration is not a dreamland of endless possibilities with revolutionary marketing results at the end of a rainbow. It’s an ongoing process made up of many discrete but valuable steps, each contributing to the greater cause.” He effectively called integration a fantasy land. What is causing this disconnect? With an ever increasing number of CEOs and CMOs starting to “get it” I have to wonder if the online marketing will start to become white noise. In 2013 communicators will increasingly plan and execute their information, PR and marketing activities in mobile channels – reduced, focused and straight put. Thanks to the newest technologies we could fly to the moon with our smartphones. That is why consumers increasingly use the opportunities of mobile devices. Instead of sitting at the desktop computer back home consumers inform themselves on the go. In 2013 mobile applications will increasingly be accompanied by responsive webdesign. Not the mobile app but the website itself will recognize the appropriate format of the respective smartphone and present the web information accordingly. And precisely due to the fact that consumers inform and entertain themselves more than ever before on the go, 2013 will show a strong trend to useful cross channel marketing between mobile device and local point of sale. Thanks to new smartphone technology and innovative software, local enterprises have the possibility to approach their clients targeted at the POS, to involve and activate them. Here experts from PR and event creation come into account. More than ever before, in 2013 they will need to pool their competences to develop, communicate and locally implement promotional infotainment concepts. At the same time CEOs will be asked to trust these mobile-local marketing concepts and to allocate appropriate budget. Because the customer does not want to be arbitrarily chatted on but excited, mobile and locally at the POS. Same for PR concepts with true event character. 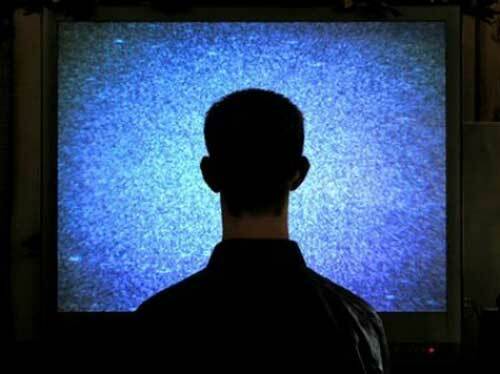 No matter what media channel, the content has to excite readers, listeners and viewers. Interesting, attention-getting events connected to real daily life of consumers offer great content for media coverage. Fear not – you won’t miss out on any local discounts or specials with a new smart phone app launching. It’s called FOMO (Fear Of Missing Out) Sonar. It uses GPS technology to notify you on your phone about discounts and happenings at the places you’re near at any particular time. You have control over what businesses you allow so you aren’t overwhelmed with pop-ups. So far, six businesses have signed on to be included in the FOMO app. Here’s how it works: When you’re in the area of a particular bar, you’ll get notifications for what’s happening at that bar. Certain bars and restaurants offer deals for discounted or free items if you are signed up for the app. For instance, an arcade bar in the Old Town area of Portland, Ground Kontrol, offered a dollar in coins with a drink purchase on Thursday night. And at the nearby Penny’s Diner, you could get a free breakfast sandwich earlier on Thursday. But if you’re at home, nowhere near the business, no worries: You won’t get alerts on your phone, as you can only opt to receive updates from places you like. For patrons, the app is free. Businesses pay a one-time fee of $30. They can use it as much or as little as they want. What are the reasons behind a recession? 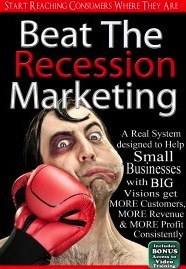 When recession strikes, it is crucial to question if each element in a marketing plan is achieving its objectives. Does it encourage brand loyalty? What barrier to purchase does it address? Does it make the brand seem worth paying more for? The most important key to success during an economic downturn is to stay focused on the brand, competition, customers, and communications. Analyzing the company and the brand health by using annual reports, tracking studies, media data, sales force intelligence, and feedback from consumers are some of the recession survival tactics. Anticipating competitors’ actions becomes a critical factor during recession. Marketers should consider the ways competitors might respond to an action. Recession may force a triage strategy, thus, marketers need to concentrate on the core brands and products that are most likely to survive, and let the others to sink. Supporting the core proposition and emphasizing its value secures the brand’s image. Price-cutting move may not be rational when doubting the competitor’s response. On the other hand, a high price may not be a problem as long as consumers believe that the brand is providing value for the money they pay. A reduction in quality may remain unnoticed for a while, but it will lead the brand fails later. A successful brand is built on the great brand experiences; therefore jeopardizing the brand image would not be an intelligent decision to make during a recession. A brand’s biggest asset during a recession is its existing customer, thus being in touch with them and providing a variety of services to keep them satisfied play an important role to maintain the customer equity. Marketers need to minimize risks by monitoring consumer’s behavior and changes in their consumption patters and habitual spending. Focusing on internal environment plays an important role not just during a recession but economic expansion. The motivation level of employees is essential to a company’s success; thus, they need to be reminded that they make a difference. Sponsorship plays a huge roll in sports and it’s amazing to see how much companies are willing to pay just to get their name out into the public. Lets take Rolex for example who has been doing major deals with Formula 1 racing, the Davis Cup, and Wimbledon. If you think about all of the exposure that Rolex gets from these sponsorships it’s simply astonishing. From commercials, advertising, and simply having their brand at an event can reach millions of consumers. In general consumers tend to tie certain events with certain brands and that is the ultimate goal when it comes to sponsorship. For instance, when I think of the Wimbledon I automatically think of Rolex, simply because they have been the “Official Time Keeper” of the event for so many years. Rolex was able to establish its brand into a prestigious event which has then made Rolex leverage its credibility as a top of the line watch brand. Sponsorship is something that can really bring exposure of a brand when done correctly. Sponsoring anything and everything won’t get the job done though, brands needs to establish themselves with other events or companies that share similar values so that both parties can benefit from the sponsorship. Taking the same example of Rolex, they have established themselves with many events and are now recognized on a global scale. They even get accidental exposure from famous athletes wearing their products. 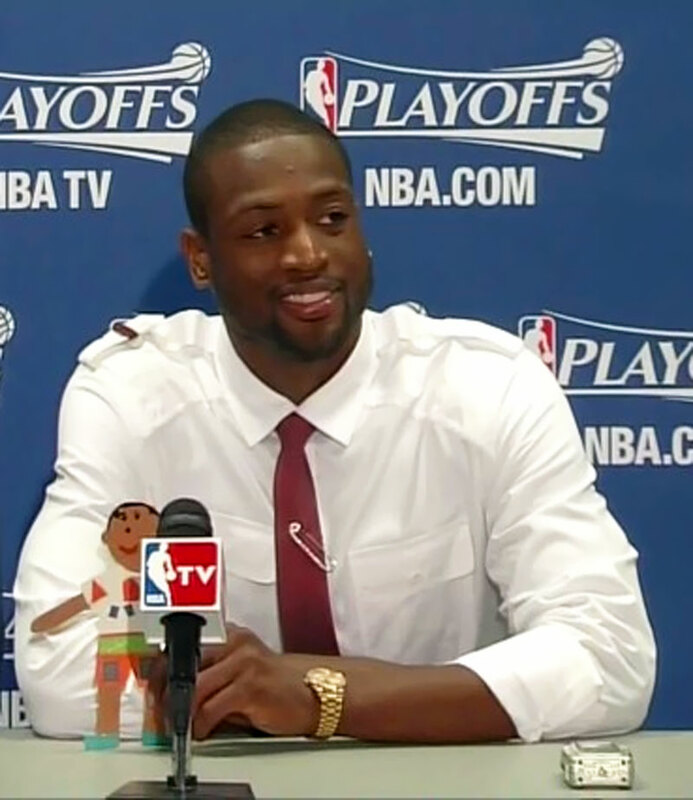 Here is an example of of Dwyane Wade Wearing a Rolex watch and he isn’t even a sponsored athlete by them. The fact that famous athletes will wear Rolex watches goes to show the power their brand has had over the years. To end of this blog I will leave you guys with a video showing the impact Rolex has had on Formula 1 racing. An effective brand promotion is necessary in the business world, and Apple Inc. is a good example. According to Interbrand 2012 report, a global branding consultancy, Apple is the second best brand world. Their competitors Microsoft, HP, Dell in computer market and Samsung, HTC, Nokia in mobile devices market are all behind Apple. Part of their success needs to contribute to effective brand promotion, especially iPhone in recent years. Apple was found in 1976, and they challenged the overlords in 1970s’ computer market: Microsoft and IBM. They created different operating system with Microsoft and design with IBM. Even in today, Apple still keeps own operating system and special design. They are not following the rule that other exist company created. In fact, they are trying to create a new rule. For example, they create all-in-one computer, combine the screen and computer case together. This is an innovative design in many years ago. When we look at recent computer market, there are many brands follow this rule, all-in-one computer. Therefore, I think innovation is an effective tool to promote a brand because it helps brand to be a leader in the market, not a copycat. However, Apple is not always successful. 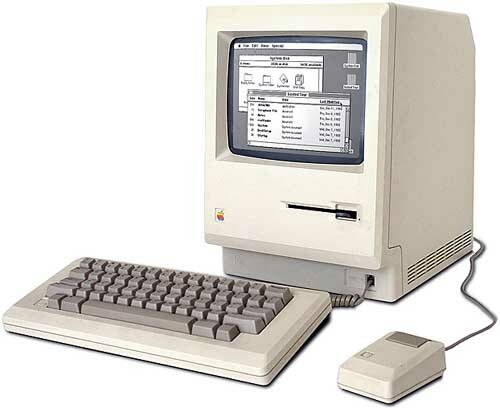 During 1986 to 1997, the Apple faced a decline, and Steve Jobs were forced to leave the company. He founded a new company NeXT which was acquired by Apple in 1997. After Jobs came back to Apple, he established Mac OS X, Apple Store, MobileMe and iTunes store based on system that NeXT was created. Moreover, the success of iPhone is not an incidental. Apple introduced iTunes Store in 2000 and iPod digital music player in 2001. I have to say the part of success of iPhone came from the popularity of iTunes and iPod since people were used to it. I believe using exist platform in the company to extend a new product could consider as effective business promotion. Have you heard people said, “It’s so cute!” in different language to describe Hello Kitty? No matter your answer is “Yes” or “No”, Hello Kitty is the most famous cat image in the world. When hello Kitty was introduced, Sanrio almost did not do anything about advertising and marketing. In addition to cigarette and alcohol, almost all kinds of products are easy to get their authorizing. And then, Hello Kitty has taken comprehensive, cross-industry diversified marketing strategy. Sephora Beauty, McDonald happy meal, Reebok shoes and Eva Airline have effective crossover cooperation with Hello Kitty. A series of effective sales strategies make commercial value of Hello Kitty was fully played. If the price of this Hello kitty airline is same as normal airline, do you prefer to take this one? In 2005, Japanese Sanrio Hello Kitty company cooperates with Taiwan’s Eva air. Eva Hello Kitty Theme flight successfully attracted and satisfied their fans. However, some people may dislike Hello Kitty and it is impossible to let all people like. Eva airline cooperates with hello Kitty brand elements, which makes differentiation with other airlines, but also need to keep taking care that if normal passengers feel comfortable.